This past year was an eventful one. I’m reflecting on big changes, new adventures and children who seem to be growing up before my eyes. As I look ahead to the new year I find myself feeling a bit overwhelmed. Setting goals and planning helps keep me on track, but I find I need to keep in perspective why I am setting each goal and what role it plays in my life. Proverbs 3:5-6 is one of my favorite verses. “Trust in the Lord with all your heart and lean not on your own understanding; in all your ways submit to him, and he will make your paths straight.” This verse reminds me that whatever goal I set, whatever challenge lays in front of me, I know I can trust in the Lord and he will guide me. 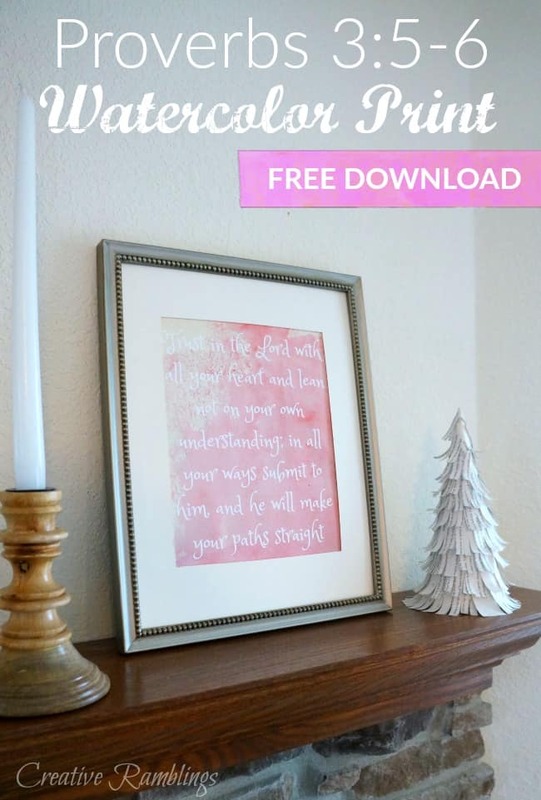 I printed this watercolor Proverbs print and am displaying it on my mantle this winter. It’s a nice pop of color to an otherwise neutral winter mantle. This verse, displayed where I can see it every day, is a beautiful reminder that I am not alone and no matter what comes my way He will guide me through it. 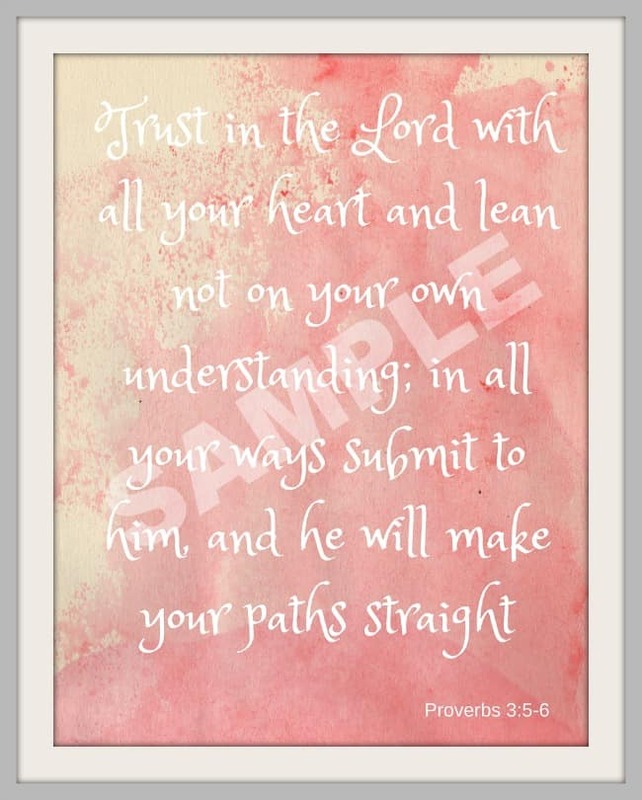 This watercolor Proverbs print is a Free download exclusively for Creative Ramblings subscribers. If you would like a copy just click the image below to sign up. Once you confirm your email address you will be redirected to a page where you can download this and other free exclusive products. 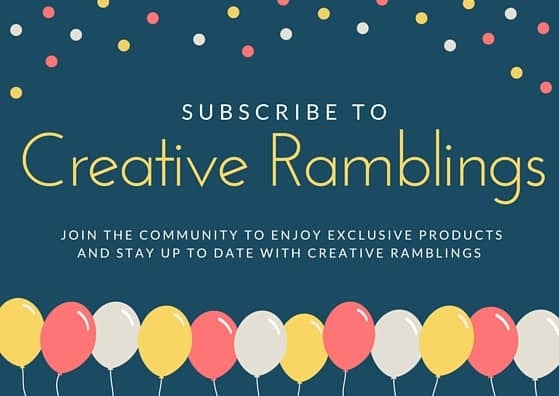 Creative Ramblings subscribers receive a weekly newsletter with a few posts you may have missed along with free printables and other exciting news. I hope you’ll join this fun community. Do you set goals for the new year? I’d love to hear about your process and how you keep it all in perspective.